If it's adventure you want, going to one of the two continents that start with south, South Africa and South America, should be your direction. Both have vast rural lands that offer lessons in history and unique forms of nature you can't find in the north. Many of the urban areas in these continents are located on the coasts therefore the climates are temperate year round. Reward Flying has the strategies for a visit to the south, but first you must decide where you want to go. African Safari: You will need a credible tour operator for your adventure. While not endorsing any particular company, this link has important information about how to plan for an African Safari and they have been in business for 30 years. You can get free brochures, paid books on African wildlife as well as the best times to see certain animals and where. Just be sure your arrival city has reward availability. Amazon Rain Forest: If adventure is your choice, it could be difficult to decide between an African Safari or a tour of the Amazon Rain Forest. While points can't get you the tour itself, they can fly you there and back. The Amazon Rain Forest, which covers 2,700,000 square miles, belongs to nine countries with the majority of the forest inside Brazil. North American flights to São Paulo easily connect to Manaus, a popular tour guide location. There are others such as Iquitos, Cusco and Puerto Maldonado. 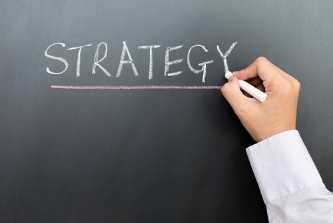 Just be sure your strategy flies to your chosen destination as these are not international airports, you'll need to connect. But you can also spend a few days in your connection city then take on your Amazon tour, you have numerous options when planning your adventure. Airline websites have made securing reward tickets far easier than just a few short years ago when you had to call the reservation desk and hope something was available for your vacation in 4 months. Now you can search online for multiple days and find tickets that are suitable to your travel objectives. It's faster and far easier. The problem is, it's not complete. While almost all airlines with reward programs allow you to search and book online, that doesn't mean all the reward tickets are in the online inventory. Routing complexities can prevent a prevent a reward from appearing, but most likely it's the partner reward inventory isn't loaded into the airline's site you're searching. Partner rewards are huge. If dependent on the the airline you earned the points with to provide the reward on their aircraft you are losing many options. It's also not as simple as the commercials that say "no blackout dates", "any flight", "any time". These programs are allowing you to pay the retail fare for your reward with what would otherwise be cash back to you. There isn't a lot of extra value to your points with this method as has been discussed when looking at premium rewards. However premium rewards are more difficult to find than economy rewards which are generally available. In either case, it may take some patience along with work to find the perfect flights to fit your travel desires. Here is an example. The flight is from Los Angeles to Santiago de Chile on October 19 in business class. Results are from 3 reward programs that are among the top programs in the US. This is only a one way travel search. Search #1: There was no availability on the date for a business class reward ticket. Non-saver (expensive retail ones) were available but only one day that month offered a reduced fare. Search #2: Also no availability on the specific date. On four days during the month an expensive fare was available. Search #3: Did not have any direct flights, or 1-stop or even 2-stops reward tickets available. You could get a 3-stop trip on multiple carriers that were flying short haul Boeing 737 aircraft, in other words a domestic type seat for a save reward price. However if you know where to look, you might find what you want. In this case there is a direct flight from LAX to SCL on a Boeing 787 no less. This flight is available on TWO of the searches above that were showing no availability. Why aren't they showing? Because the reward inventory for this airlines is not loaded in tho the web based reward search. It's a common practice so it's important to understand the rules, and have the tools to find these "hidden" rewards. Bogotá, Columbia: The capital and largest city in Columbia was recently crowned happiest country in the world. It offers a vibrant restaurant scene, classic and progressive architecture along with warm and charming residents. Take a cable car up to the Cerro de Monserrate, looming 10,341 feet atop the Andes Mountains for a magnificent view of the city of Bogotá. Here you can try a local delicacy, coca tea. About an hour outside the city in Zipaquira, there is the famous salt cathedral carved within a slat mine 590 feet underground. This city is very accessible from the United States and very reward point friendly. Cape Town, South Africa. There is something intriguing about Cape Town South Africa. Maybe it's the history lessons from elementary school that taught about Portuguese navigator Bartolomeu Dias who discovered the way from east to west leading to the formation years later of the Dutch East India Company. The violent storms that form around the cape due to the cold Atlantic clashing with the warmer Indian Ocean waters capsized many ships making this treacherous journey years ago. Today you can take a cable car up Table Mountain and get a spectacular view of the cape. As a coastal city you will also find plenty of beaches and water activities if that is your goal. For dining seafood is the choice. Capetonians prefer line caught fish, to preserve the flavor. And did you know some of the world's finest tuna can be found just off South Africa's shores. Easter Island, Chilean territory: A volcanic archipelago in the southeastern Pacific Ocean more than 2,000 miles from Chile to the east and Tahiti to the west, makes this an adventure to a land probably as primitive as you can find today. Go to see the moais. The moais are massive stone statues of ancient legends that line the coast. There are more than 1,000 of these statues that date back to the twelfth century and measure up to 32 feet in height. While the food may not be Michelin starred Paris gourmet, the freshness of the seafood makes up for any gastronomical disappointments. Plan on an exotic trip but you'll probably need Reward Flying to help you get there. A quick search on the big 3 airline reward sites will not show you a single reward flight. But they are there! La Paz, Bolivia: You’ll find plenty of adventure in La Paz, outside of town. Head over to an area known as valle de la luna (Moon Valley) where you'll walk through a maze of giant stalagmites. 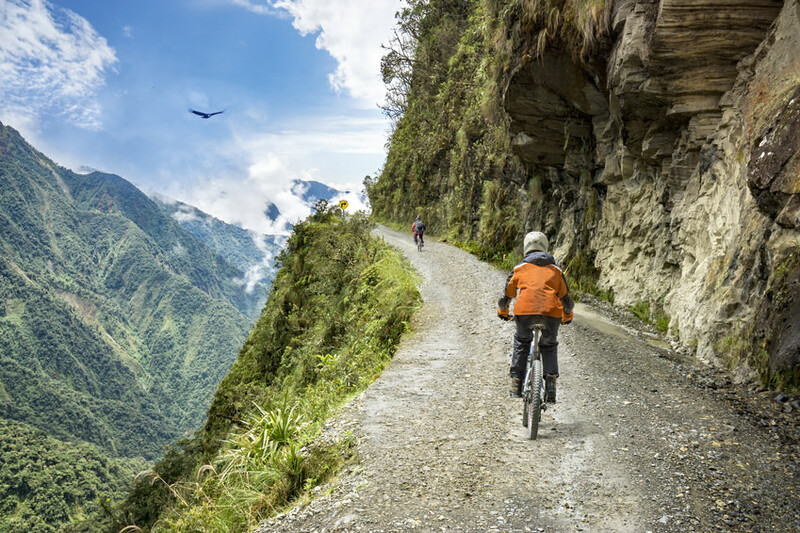 And if really up for dare-deviling, cycle down Death Road, the world’s most dangerous road. Somehow we think your outdoor adventurism will be satisfied. Not up for adventure? There are plenty of sites in town like the San Francisco Cathedral or hunt down bargains at the Witches Market to make your stay a memorable one. Lima, Peru: Chances are the weather will be great when you visit. Lima's climate is similar to San Diego, 75 degrees in the summer and 65 degrees in the winter. When visiting Lima a must see is the Circuito Mágico del Agua (Magic Water Circuit) with interactive fountains sure to please all ages, just be prepared to get wet for the most fun. The Government established a Boulevard of Gastronomy in the district of Surquillo to showcase the local fresh ingredients used in Peruvian cooking. For lovers of ceviche, this dish is the star of Peru’s culinary delights. 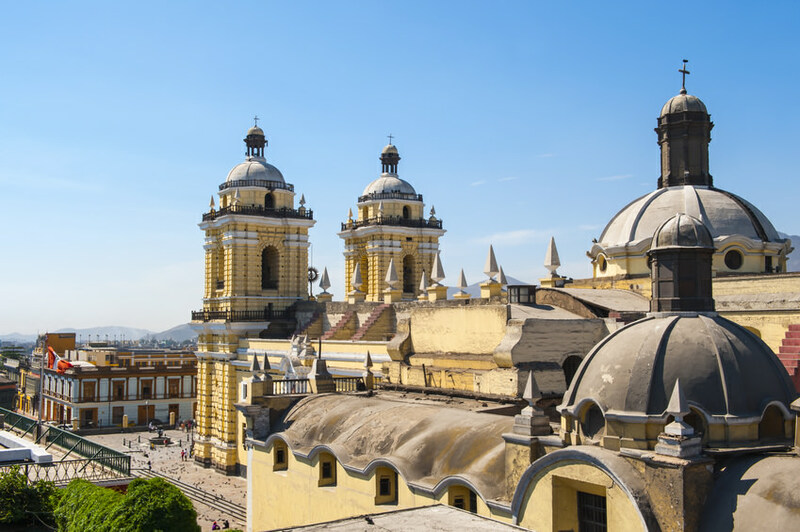 There are plenty of sights to see in Lima as well; Plaza Mayor, Cathedral of Lima, the Government Palace and the Monastery of San Francisco. If you want to head out of town you can head out to Cusco and Machu Picchu and see what it's like to live 8,000 feet above sea level or buy some pink salt at the mara salt pools in the Sacred Valley. You'll learn how to do all of that with this article. Rio de Janeiro, Brazil: While there are plenty of sights to behold in Rio de Janeiro, Cristo Redento at the top of Corcovado Peak, Sugarloaf Mountain, Tijuca National Park and the Lagoa Rodrigo de Freitas, let’s face it, most of your time will probably be spent on two of the most famous beaches in the world, Ipanema and Copacabana. Santiago, de Chile: This is another temperate inland Pacific coast city that averages 70 degrees during their summer season. Being next to the Andes provides incredible skyline views of snow peaked mountain tops, with numerous ski resorts just outside of town. Take the cable car up to Parque Metropolitano park on top of Cerro San Cristõbal. From here you are assured of one of the most spectacular views anywhere in Chile. And if you missed the Valley of the Moon is Bolivia, Chile has their own and it’s equally amazing. 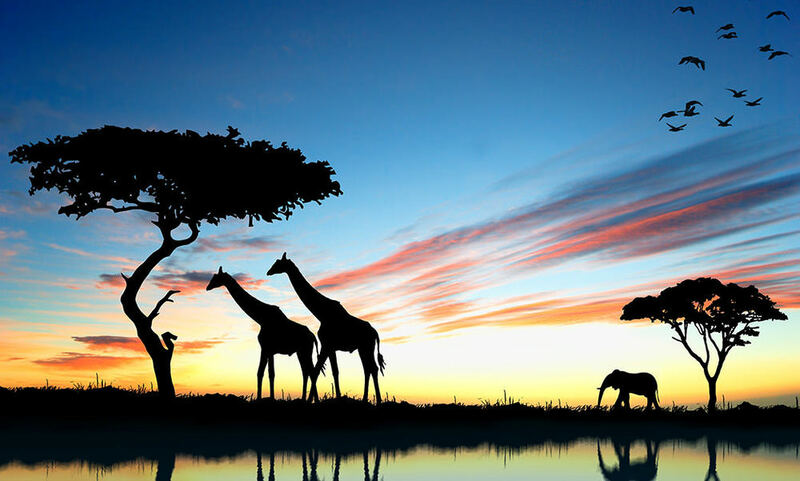 South Africa with its wildlife and and long history make it a compelling place to visit. 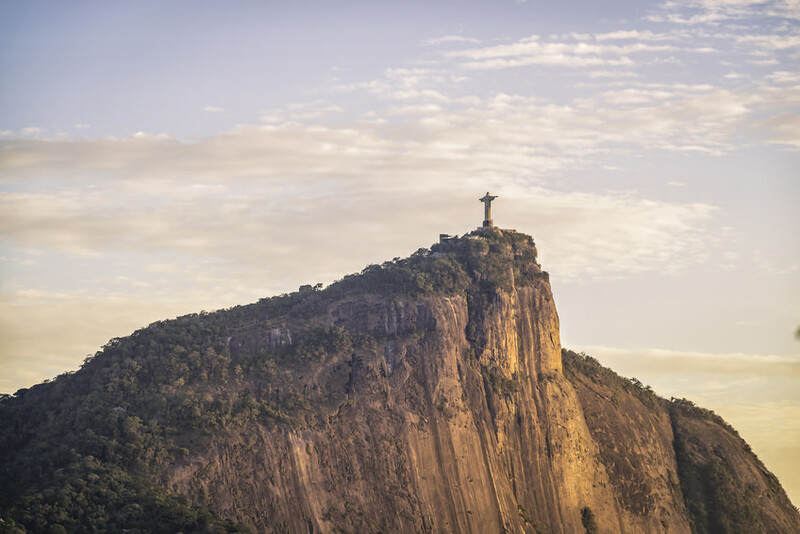 South American with its historic architecture, old world Spanish culture and stunning landscapes, make it a must see country. Why not do both? Reward Flying can show you how. In general South America is the least expensive in terms of reward ticket redemption for non US destinations. Conversely South Africa is the most expensive for reward ticket redemptions. Obviously that may impact your decision. Reward Flying is happy to provide all the details to help you plan your journey.